This month the theme is all about love and writing romantic fiction. 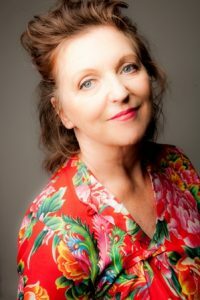 Guest author, Rosemary Dun ‘s debut novel The Trouble with Love was published last year by Sphere. Buy the book on Amazon (Currently just 99p). It’s getting 5 star reviews. whether the romantic comedy is a genre which has had its day, or is still very much alive & kicking? Rosemary will also do a short reading from her debut novel The Trouble With Love, published by Little, Brown, followed by a Q&A. During the first half of the evening, we will hear readings from Kate Dun, Chloe Turner, Judy Darley and Amy Morse. Chloe Turner (@turnerpen2paper) is a writer from Gloucestershire, whose stories have been published in literary magazines including Hark, Kindred (US), Halo and The Woven Tale Press. InShort Publishing (Aus) released Long-gone Mary as an individual pocketbook in 2015, and Labour of Love was a For Books’ Sake Weekend Read earlier this year. Chloe is seeking representation for her first novel, What Has Fallen From Heaven. Author and entrepreneur, Amy Morse, writes fiction as Amy C Fitzjohn. Harbouring dreams of being a writer since childhood, she published her first novel, The Bronze Box, in 2013. Since then she has written three further novels, and counting.